At the beginning of the month, I've blogged about one stock (Wee Hur) and one movie (The Martian) that I've determined to get/watched in the month of October amidst my busy work schedule (click here to see more). So far, I am just half way there. 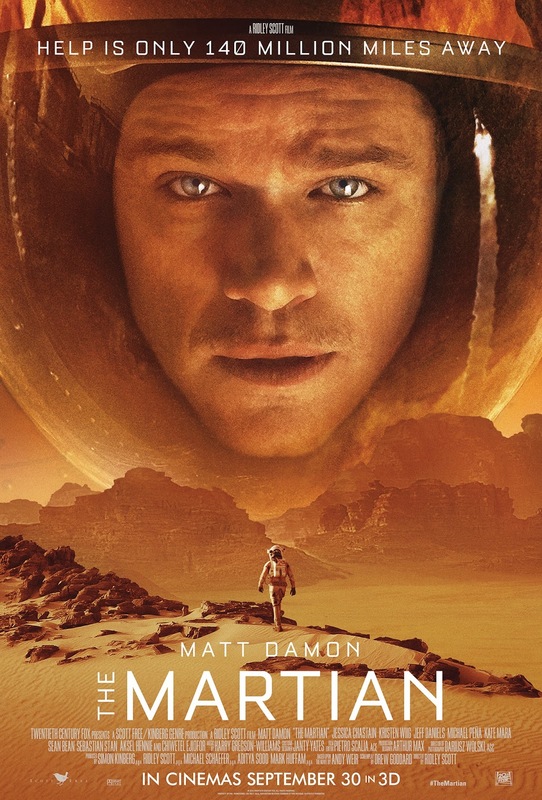 I managed to catch The Martian in IMAX 3D on 16th Oct 2015 (Friday). It literally blown me away, not from the special effect, but from the sterling performance of the casts (especially Matt Damon, he owned almost 80% of the screen time in soloist and yet the audience is yearning for more). I dare to say that this is one of the most inspiring movie of the year. The Martian - Finally, my turn to save the smartest man on the planet and he is worth saving, man! 1. There is no single moment of dullness in this almost 2 1/2 hours thriller. The pace of the movie is great and even though it is a one man show for 70 to 80% of the movie but you just want more of it. 2. One of the most inspiring movie of the year... The positive energy and the wittiness emitted from Mark is very contagious, countless time of laughter can be heard from the theatre, mainly from what he has done or said. 3. The performance from the casts, especially Matt Damon are spectacular. Oscar-worthy performance. My only small complaint is the finale rescue mission is not as intense as what I hope it to be. Overall, I am still pretty happy with what I've seen. 1. Knowledge can save life! Imagine if the one that being stranded on the planet is not Mark Watney, whom happens to be a botanist and mechanical engineer knew all the relevant surviving skill on an alien planet, the outcome could be quite disaster. Same thing for investment, knowledge can means a whole lot of difference between make or break. 2. Never give up! If you've watched the movie, you can really feel sorry for Mark Watney about the dire situation that he need to go through and almost every following step seems impossible to achieve. Just like one of the famous slogan by Adidas, Impossible is Nothing! Same thing happens to our investment journey, I am sure we will experience some dark and doubtful moment in the our investment portfolio's future, the key is Never Give Up!